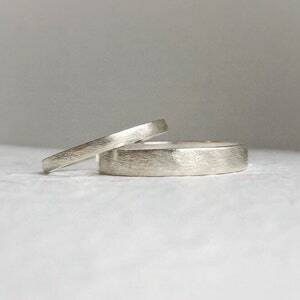 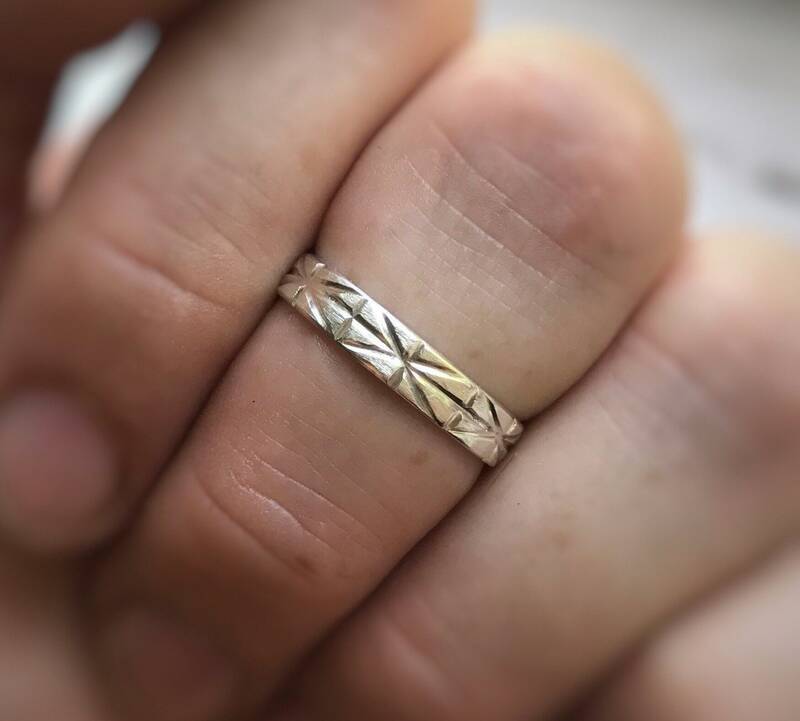 Unique wedding band - Wedding band - Made to order - Handcrafted in ethically sourced sterling silver - Men’s wedding bands. 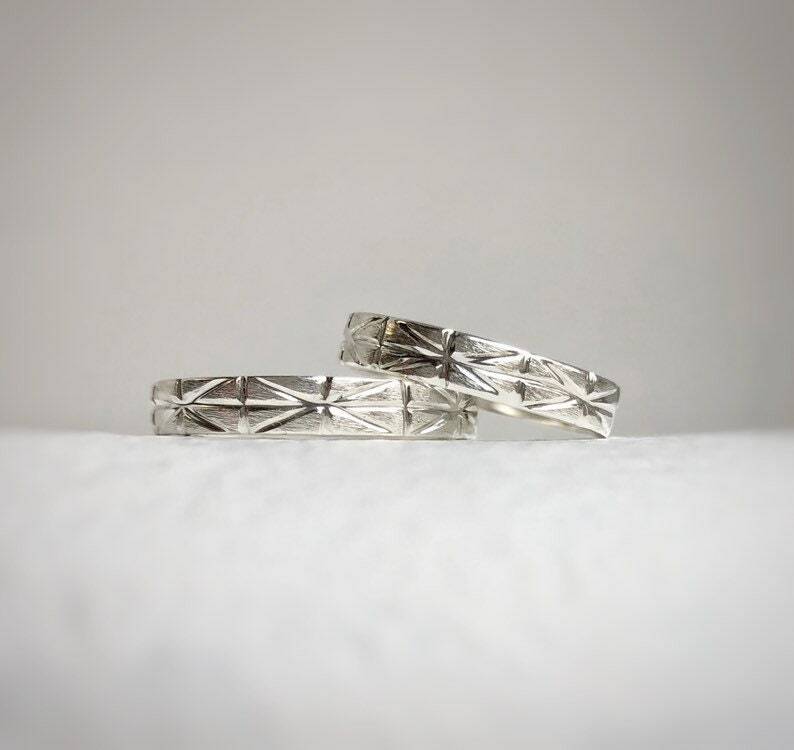 All above images where taken in natural light during a sunny day. 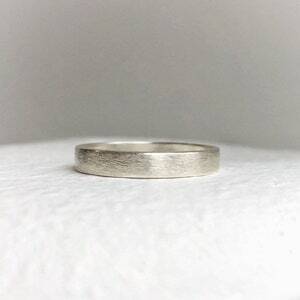 Wedding band has a Victorian inspired design with a light weight elegant style. 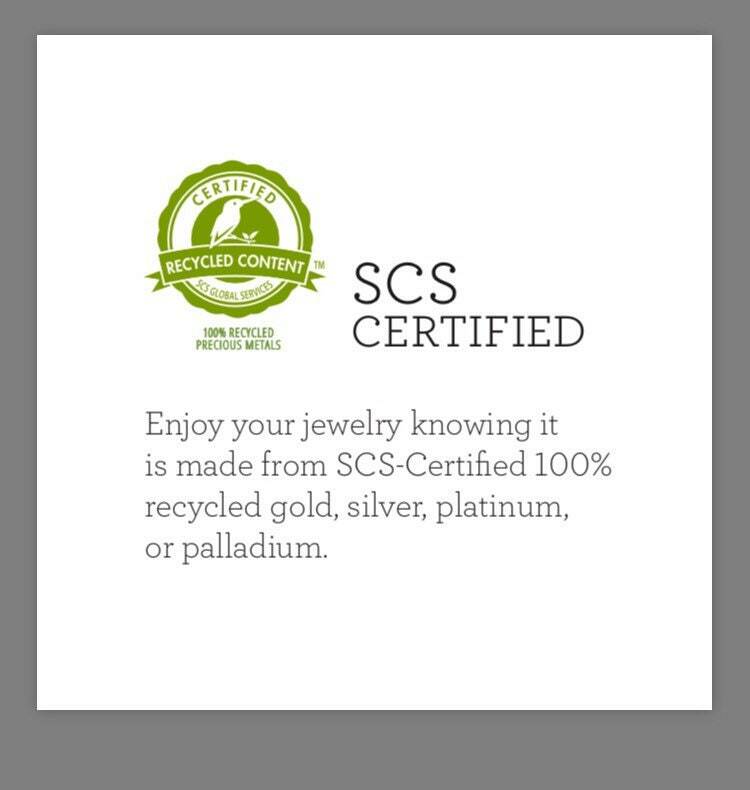 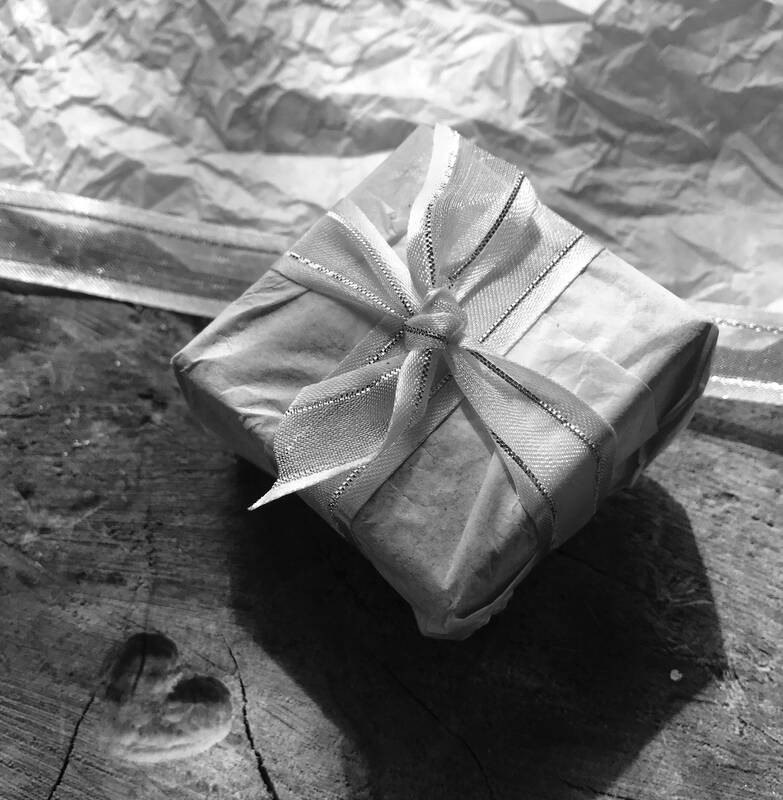 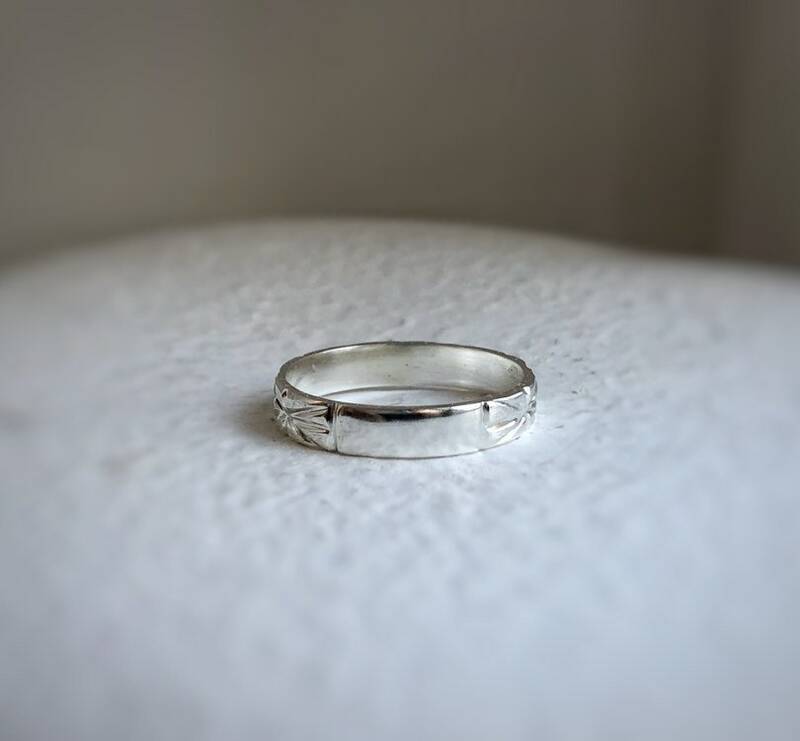 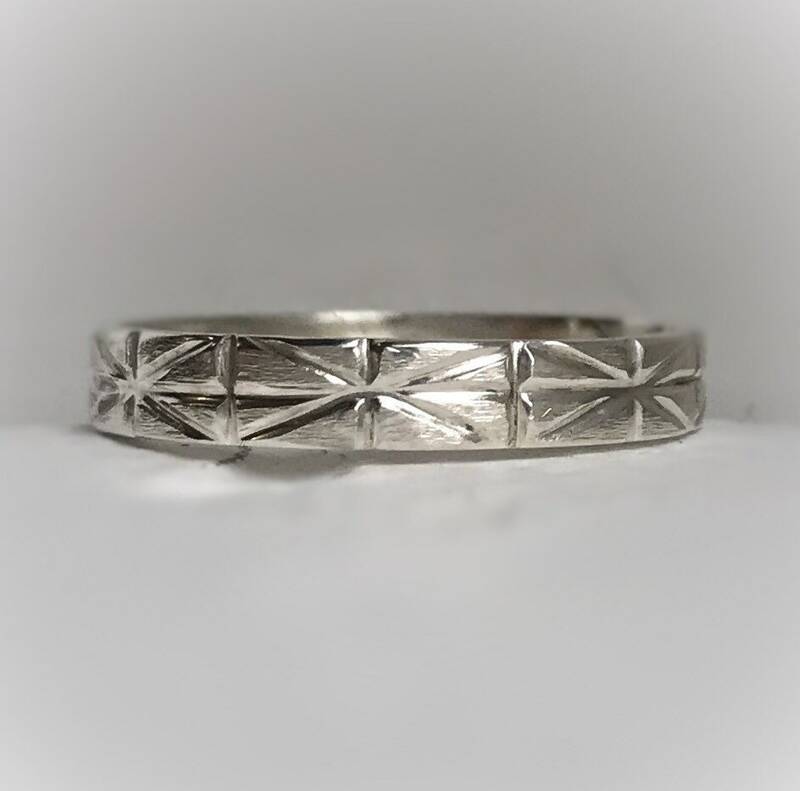 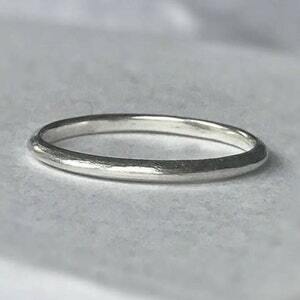 Band is handcrafted using recycled ethical Sterling Silver (also available in recycled ethical gold if interested please request a custom order with your size for a quote). 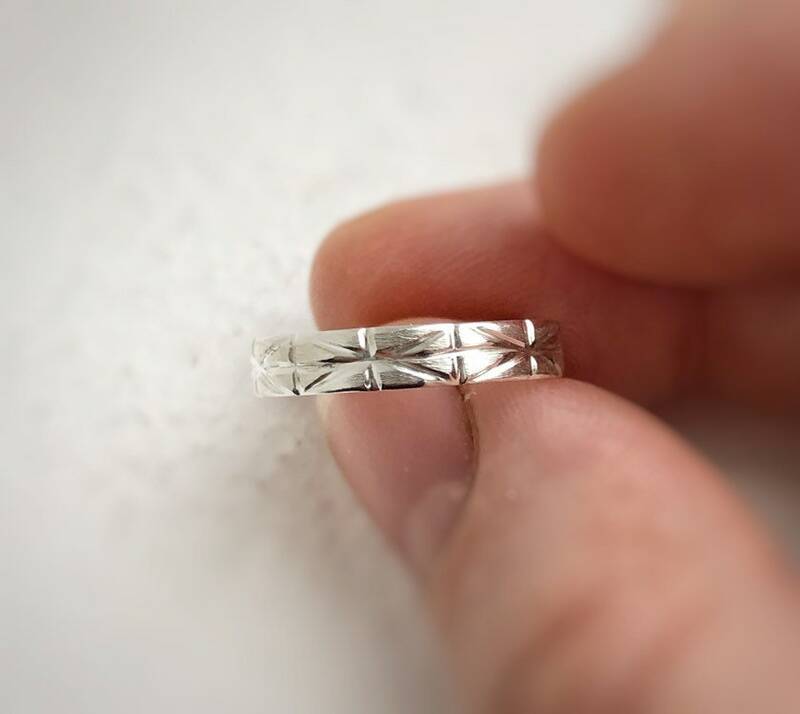 Each band is individually handcrafted giving it a special human touch. 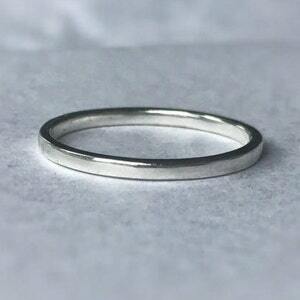 Band is 4mm wide 1mm thick and available in a range of sizes.